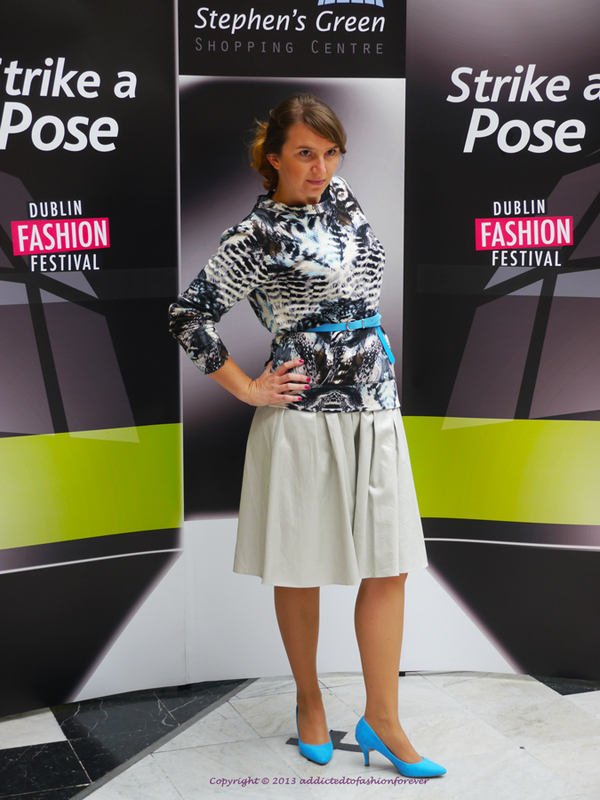 Dublin Fashion Festival is still on. Today I went to Brown Thomas to see the Fashion Show styled and hosted by Marie O'Shea. 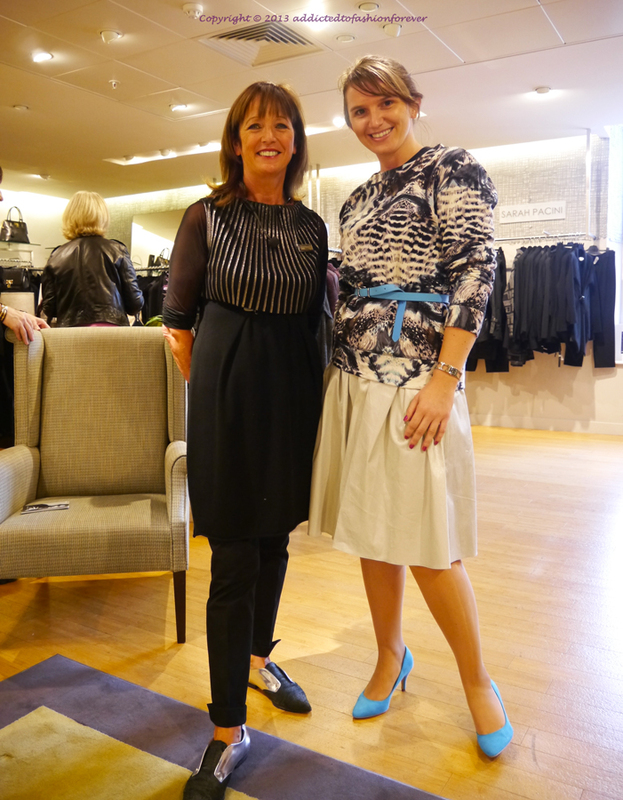 Marie presented the newest hot trends for Autumn and Winter 2013. 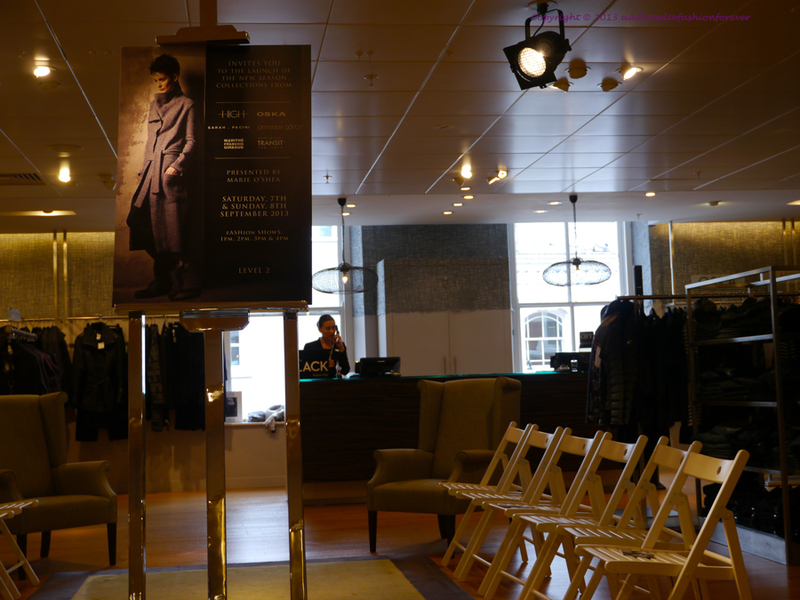 Marie prepared few stylisation from the following designers: High, OSKA, Sarah Pacini, Annette Goertz, Transit and Marithé et François Girbaud. During 20 minutes she presented amazing mix of chic and casual styles. Showcased clothes were made from natural fabrics such as wool, linen, cotton and leather. Mostly in black and grey with touch of mustard, dark lilac, red and silver. Capri pants and bodycon dresses were supplemented by oversized shirts, jumpers and coats. It was amazing and inspiring show. After the show I took a part in Strike a Pose competition which took place in Stephen's Green SC. It was a great day and I wish the Festival could last whole year.